Please read the following Terms and Conditions carefully before using any of educational services being provided by My Assignment Help.co.uk, These Terms are applicable to all users of our services and the visitors of our website. In these Terms, 'we', 'us' and 'My Assignment Help ' refers to My Assignment Help.co.uk. In these Terms "you" refers the parent, guardian or student whosoever is using our services and website. All rights stated in Policy section are reserved with My Assignment Help. The content of our website are copyrighted materials exclusively owned by My Assignment Help. However, you may get the print of this content for non commercial use. No permission is granted to anyone to use the content of this site for commercial purpose or to modify for any other purpose. All rights stated in Policy section are reserved with My Assignment Help. The receipt of the services is personal to you and you may not transfer your rights to access the course materials or to receive the services to another person unless we have consented in writing to you doing so. You must be at least 10 years old to subscribe to My Assignment Help. Students under 10 years of age may avail our service only after taking the consent of their parent or legal guardian. We grant you limited authority to use our services for personal non commercial purpose so you may modify copy, download, distribute, display, perform, transmit, publish, reproduce, duplicate or offer for sale any information obtained from Assignment Help but with written consent. Any violation of these terms related to use of My Assignment Help Website or services will terminate your license granted by us. 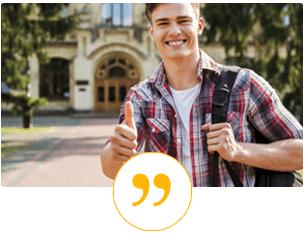 By using registering or using the services of MyAssignmentHelp.co.uk, you affirm that you will use information provided by the tutor for study purposes only and that you will not submit this information as original student work for course credit or grade. we have no liability for any interruption or delay in access to Site, however we are always ready to assist you. We don't accept responsibility for damage or data loss of on your PC, server or network, however we use only trusted and well tested softwares. We don't guarantee that access to our Website will be100 % error free, however our dedicated professionals ensure the smooth operation at their best. We reserve the right to suspend access for the scheduled maintenance/update of website. We are not responsible for the failure of access to our site due to failures of links or equipments, which are beyond our control. We are in no way responsible for the failure in any courses as the assignment help is a subjective matter. We have qualified experts who try their best to solve the assignments and we are always eager to help. In matter of poor grades arising due to our services, we offer reworks but their is no refunds, what so ever as each assignment is considered a product and once delivered to student amounts for the product sold.